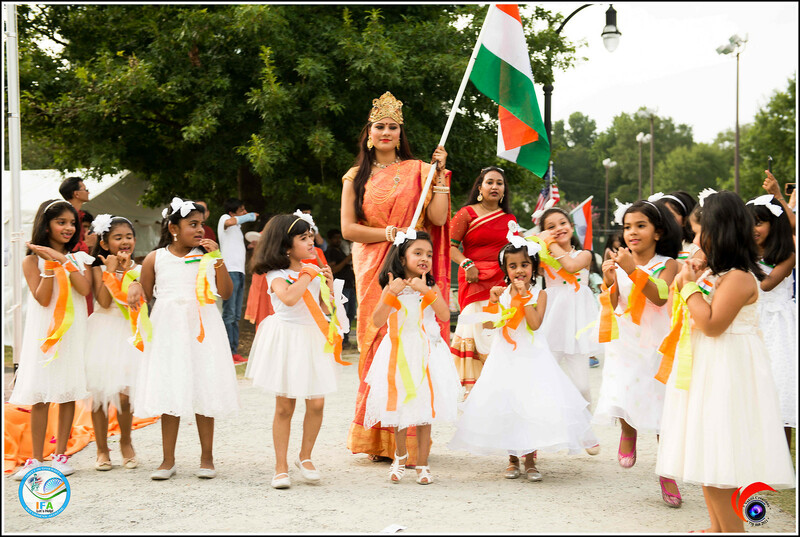 Atlanta, GA, August 28, 2017: Indian Friends of Atlanta (IFA) brought the community together to celebrate India’s 71st Independence Day at its third annual Freedom Mela at the Lilburn City Park on August 26, 2017. After the phenomenal success of Freedom Mela in the past two years, it was obvious that the Indian community of Atlanta had great expectations for the mela this year. IFA delivered on its promises to everybody’s expectations and beyond. With its level of preparedness and meticulous planning of various fun activities, IFA certainly didn’t disappoint the community. 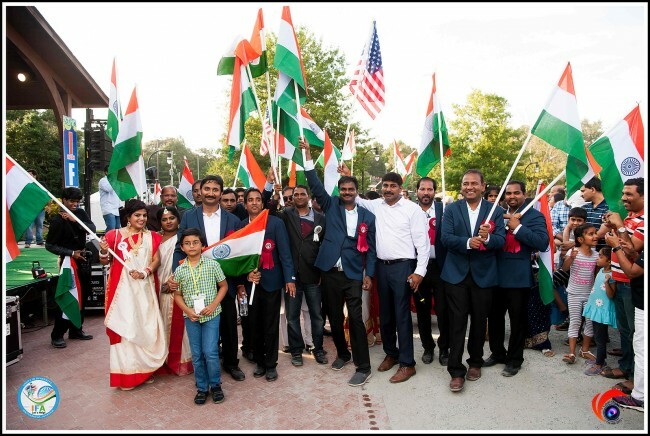 IFA’s main objective of hosting the Freedom Mela in an open arena is to bring the Indian community into the mainstream, according to the press release issued by the association. The venue was decorated to show the partnership between USA and India with flags of both countries lining the pathways leading to the entrance of the venue. Once in the venue, a grand decoration of the park welcomed guests. 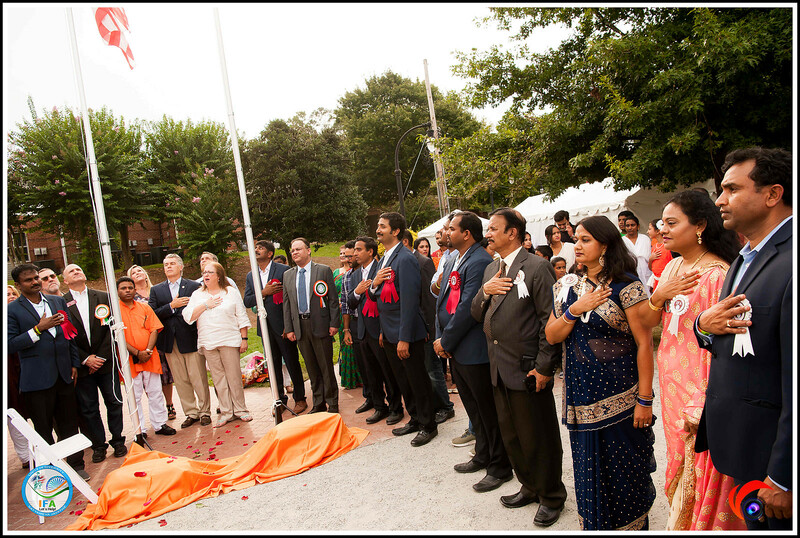 The venue and stage were decorated in the tricolors of India and the star-spangled banner of USA. In the presence of the guests of honor State Senators Judson Hill and Curt Thompson, Representatives Brenda Lopez, Sam Park and Todd Jones, Consul General Nagesh Singh, cricketer Parthiv Patel, Indian Actress Yamini Bhaskar and Sravani Goriparthi and other distinguished guests, the American and Indian flags were hoisted with touching renditions of the respective national anthems. The flag hoisting was followed by fervent and passionate parade by various states of India. Four camels draped in the Indian tricolors led the parade, followed by Manisha Kids and Chief Guests Parthiv, Yamini and Sravani in a decorated Jeep. More than 1000 people participated in the parade from all states of India including various non-profit groups. It was a festive atmosphere that displayed the culture of the regions, the uniqueness, the spirt and the unity of Indian states. 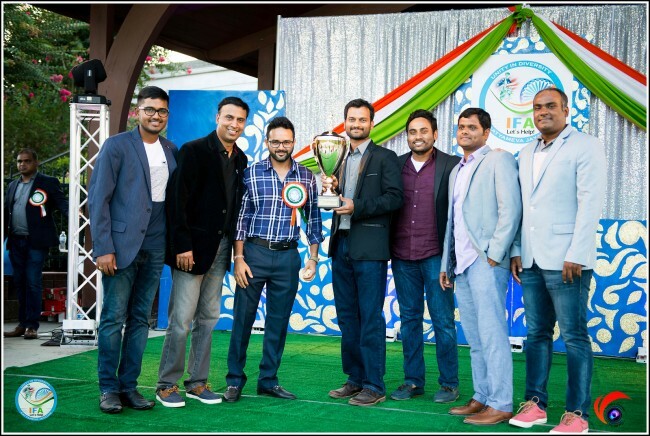 Parthiv Patel felicitated the winners and the runners up of Inaugural Independence Cup 2017. IFA Youth volunteers participated in the parade for the first time. MCs Monty, Ayshwarya Sridharan and Srivani Krishna engaged the audience. The day was packed with over 20 cultural performances from various dance academies and associations. 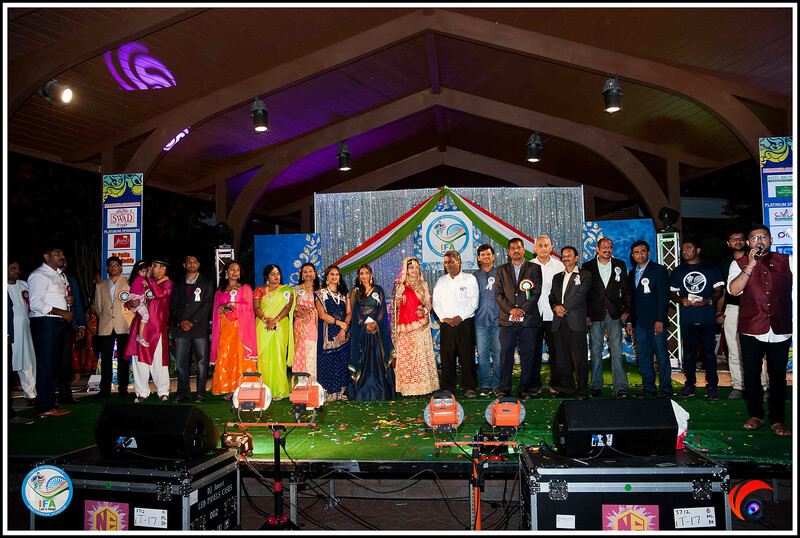 For the first time in IFA history – Freedom Mela 2017 was supported by sponsors from other states. Prominent among them were Dr. Prem Reddy, Dr. Malla Reddy, KK Reddy, Harinath Policherla and Telangana Peoples Association of Dallas. Kids had plenty to do at the mela- there were camel rides, pony rides, bungee jump, cotton candy, snow cones, and popcorn. A four-hour long cultural show by over 500 participants followed the parade. The shows reflected the cultures of various states and included several dance schools and organizations. Special performances of Hanuma Chalisa by Sai Nrithyalaya with enchanting choreography by Pushyami added color to the proceedings. Freedom Mela 2017 had more than 45 vendors with ethnic clothes, jewelry, mehndi artists, education services, business services and delectable Indian cuisine. The evening concluded with spectacular fireworks to the tune of Indian patriotic songs. IFA thanked vendors for their services- Ameet Lilani of DJ Ameet provided great visuals and audio. Vakiti Creations covered the event through their team of photographers. Kathyayini Kosaraju Pinnika and Udaya Etoru beautifully decorated the stage. Sunil Kuturu, Srinivas Avula and TATA for helped out in registration, parking and the parade. Hitesh Vadlamudi for great videos and Srinivas Peddi of IFA board for leading the 2017 Freedom Mela. IFA founding members Sunil Savili, Anil Boddireddy, Shyam Mallavarapu, Sairam Pamulapati, Kiran Gogineni, Srinivas Peddi, and Sreekanth Uppala and the IFA executive team Kishan Tallapally, Lakshmi Thesam, Priya Rathnam, Abay Radha, Shweta Dhawan, Deepa Sharma, Jamaludheen Masthankhan, Sridevi Ranjit, Sanjeev Akula, Arun Darpally, Suresh Volam, Giridhar Kotagiri, Niranjan Podduturi, Ravi Balasubramanian, and Hetal Mehta acknowledged all the participating associations, 200+ volunteers, sponsors, vendors and the City of Lilburn. Patel Brothers, Suvidha Groceries, Jhalak, Orpine Inc, EIS Technologies, Rapid IT, Info Smart Technologies, Unicorn Technologies , S Convention Center, Softpath System LLC, SDK Insurance, North Atlanta Womens Care, North Atlanta Vascular Clinic, Chugh LLP, Venkat Gaddam, GVR Realty, Bright Smiles, Suresh Peddi, Adda Sports Bar and Ecovue Solutions and various other sponsors supported Freedom Mela 2017. Ruby Beauty Parlor helped out with the special guests. The IFA team, through the press note, recognized the performers and their parents and the tireless efforts of over 200 volunteers and Lilburn City Park Management. “We are overwhelmed by the support and participation from the community and want to thank each and every one that participated in the Freedom Mela,” said the release.